Kolinio Radrudru was the star for RKS clocking 10.64seconds beating top bet, Nemani Mudreilagi of Natabua High School, whose time was 10.75seconds. Josaia Bosoka of Ratu Kadavulevu School won the bronze medal. In the girl’s grade, Serenia Ragatu of ACS took the gold medal to Sawani in a time of 12.26seconds. 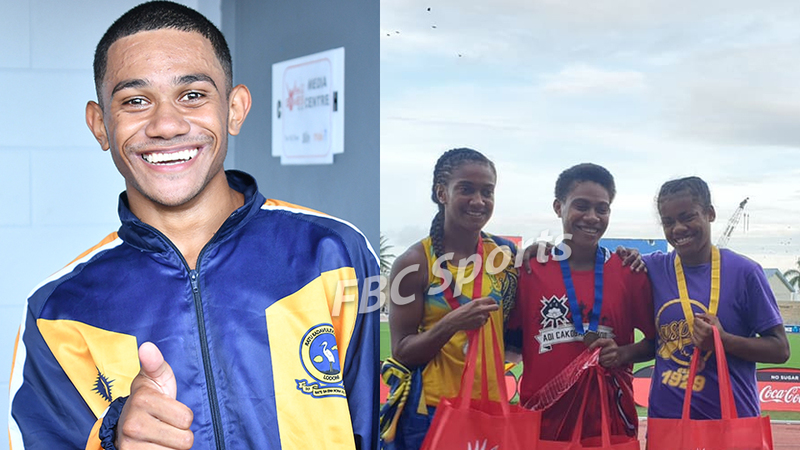 Suva Grammar School’s Fane Sauvakacolo was second in 12.31 seconds, while Jasper William sprinter, Salota Baravilala won bronze in 12.32 seconds. Looking at the FBC News medal tally, defending boy’s champion, RKS has eight gold, six silver and four bronze medals. Marist is second with four gold, 10 silver and four bronze, followed by Suva Grammar on four gold, two silver and four bronze. In the girls, ACS leads with seven gold, nine silver, four bronze, while Saint Josephs is second with four gold, three silver and as many bronze. Jasper is third with three gold, four silver and two bronze.